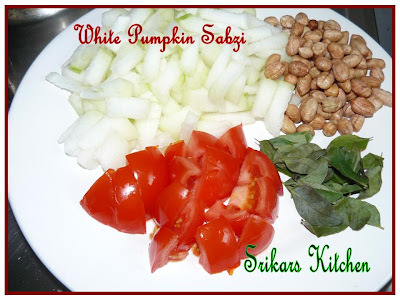 Mix white pumpkin, peanut, tomato, curry leaves & salt in a pressure pan with water to cook until almost done. Heat oil in a pan, add urad dhal, peppercorn, red chillies to roast , saute on low fire, add grated coconut & blend to make a fine paste. 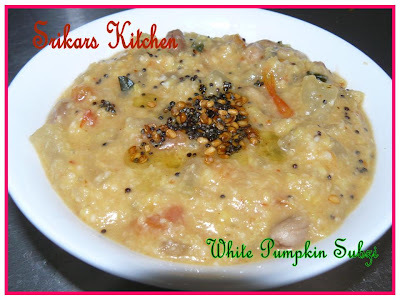 Add the cooked dhal with boiled pumpkin & add coconut paste to cook until raw flavour extracts. 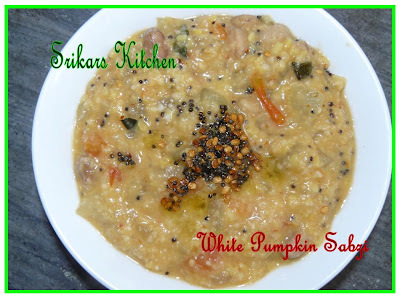 Temper with mustard seed & urad dhal . Serve hot with rice, chappathi or poori or Naan. hey nice dish..can we use chayote squash(chow chow) instead of pumpkin? 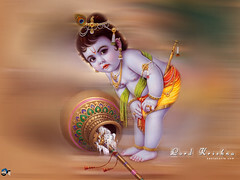 can u reply to this question in my blog comment page? I don't know that I've ever had white pumpkin, but this looks delicious! Very nice Sripriya. I never buy Pumpkin as I don't know what to do with it... now I can make this! I have been searching for pumpkin recipes..Nice one..
A nice dish! I've never seen a white pumpkin before. This looks divine. I've never used poosanikkai this way. White pumpkin curry with peanut - how novel!